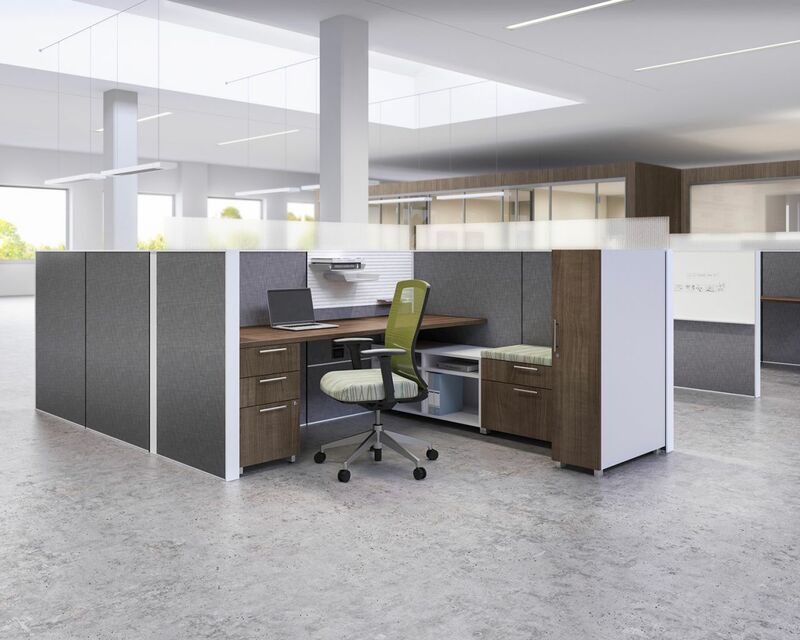 Matrix creates sophisticated, flexible work spaces that stack up to stand the test of time—in the open plan, private offices, reception areas, conference rooms, and more. 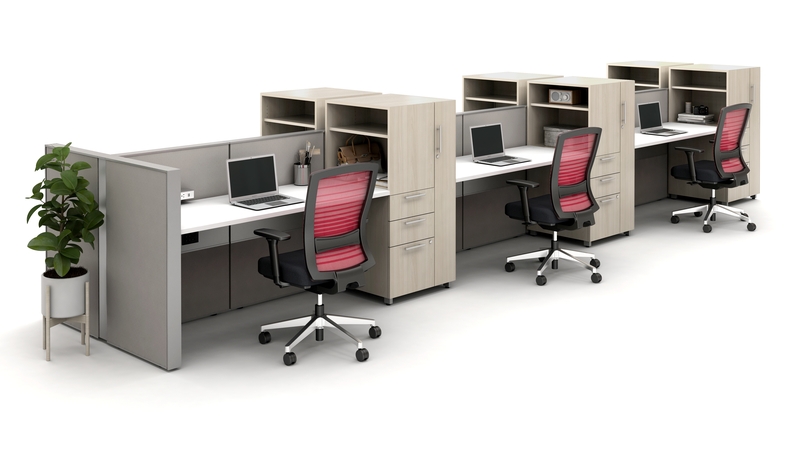 Paired with components and accessories from our Calibrate line, employees enter a new dimension of collaboration and productivity. 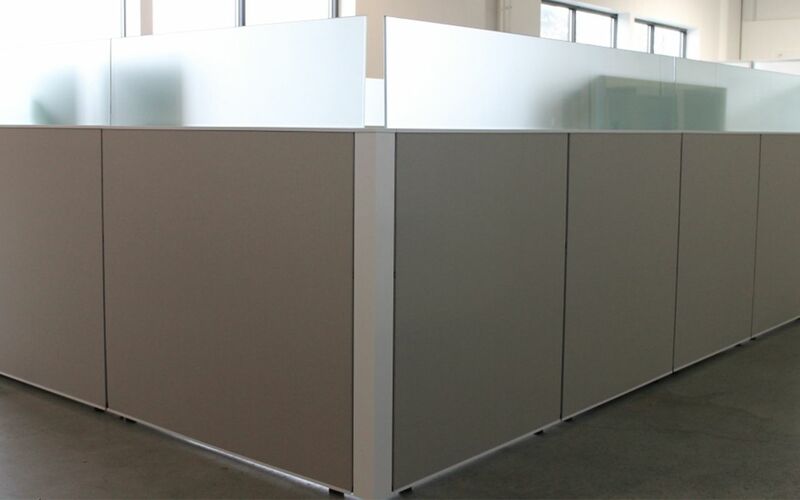 Introduced in 2002, Matrix offers users a 3" stackable panel with multiple options, including open raceways and upmounted glass. 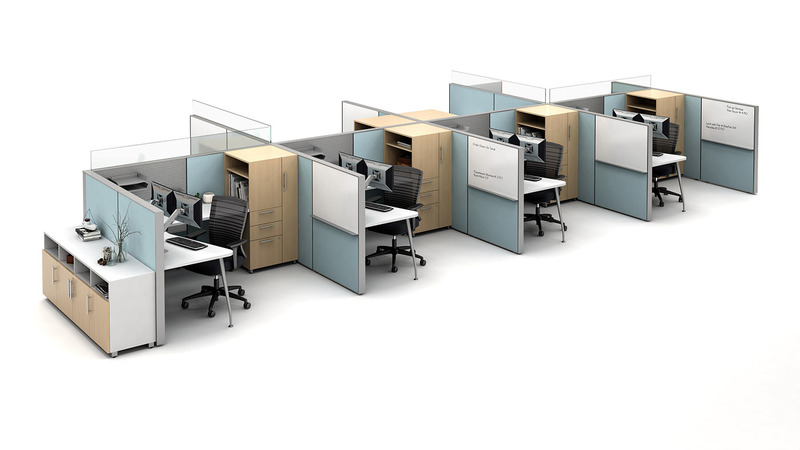 It's broad statement of line provides options for departments that need openness in order to collaborate, to departments that have a high need for privacy. 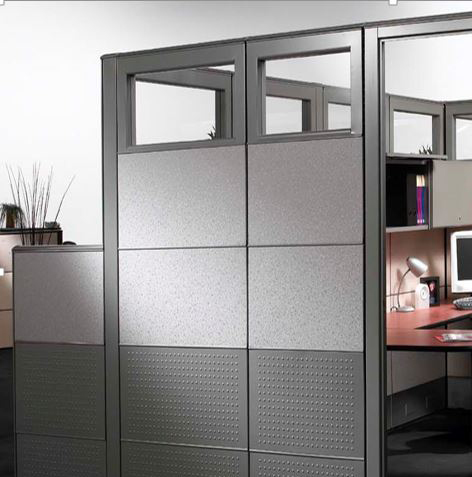 Strong foundational and power elements ensure a broad range of applications thanks to the steel frame, stackability and flexible power management, ensuring that Matrix can withstand multiple changes. 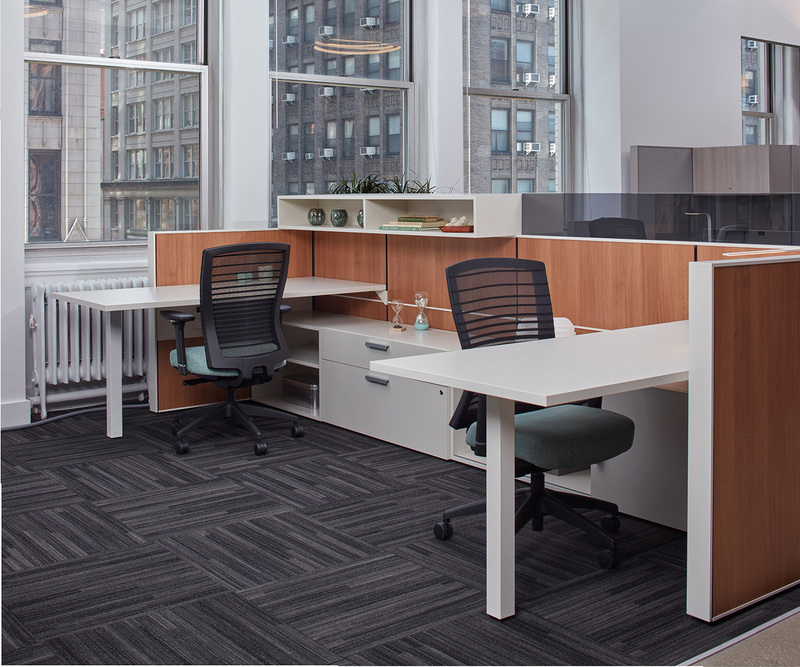 Clients can refresh the look of their space with tiles that can be interchanged quickly on-site. 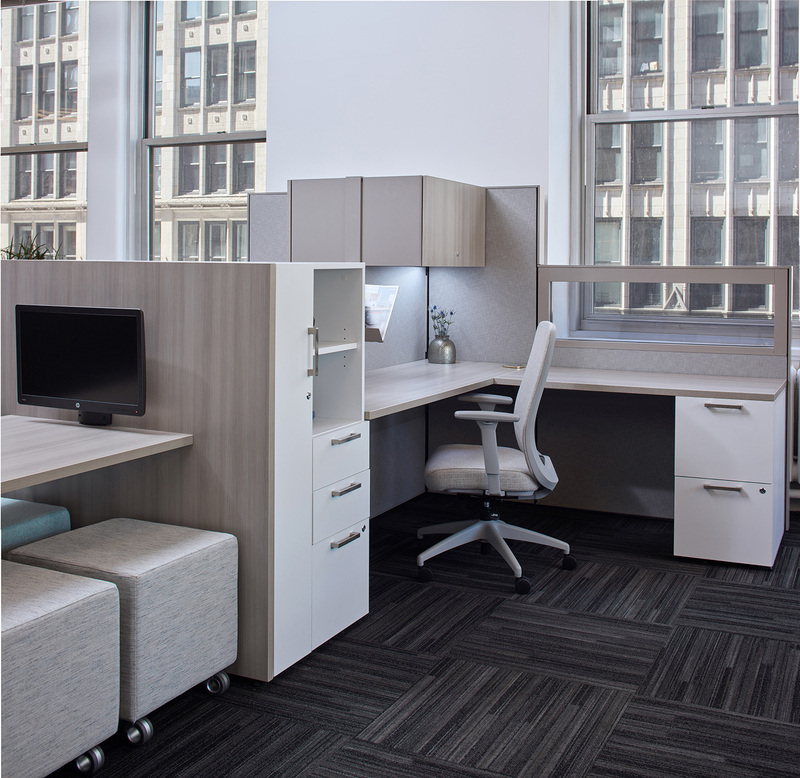 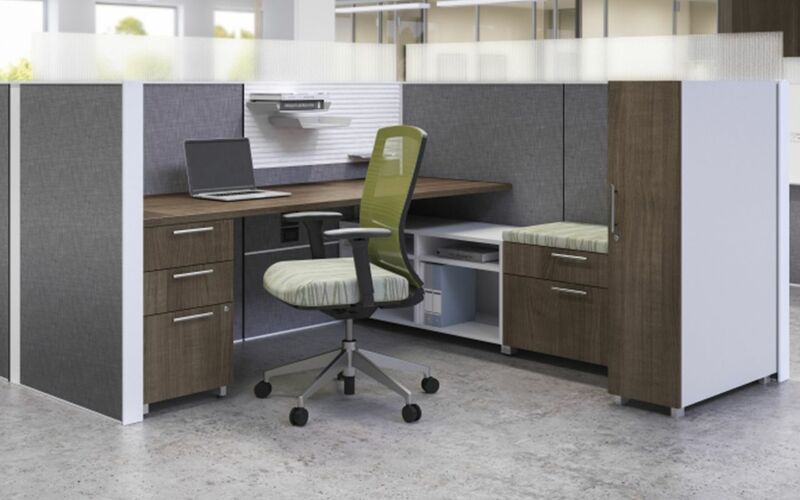 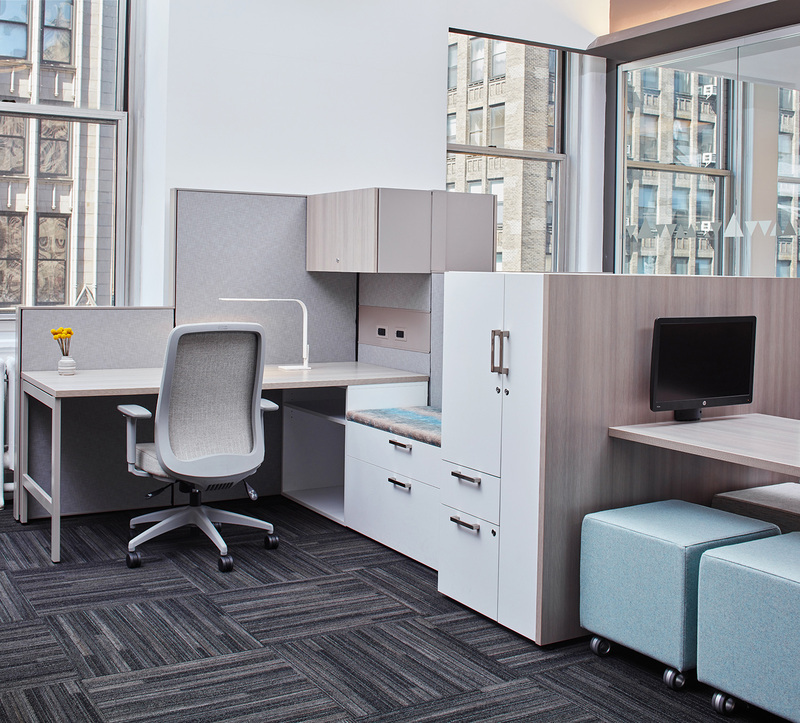 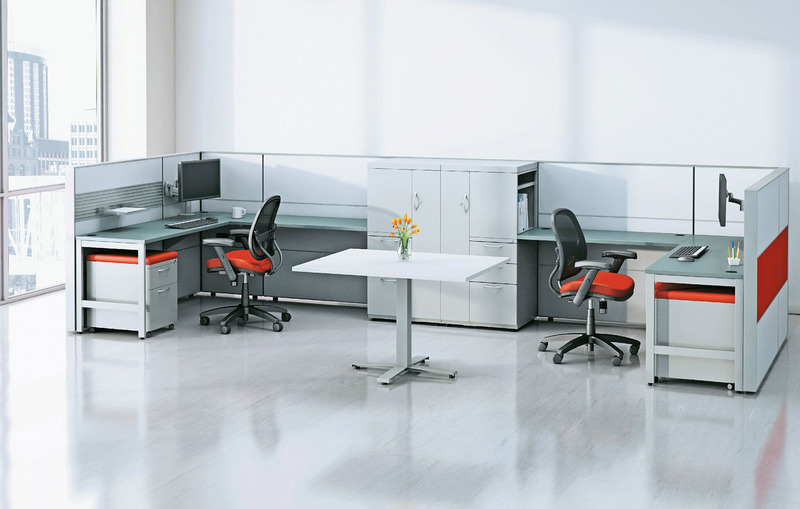 Stack options allow a client to modify their space - an open workspace can easily become a private office with stacks that can go floor to ceiling and an optional door for complete privacy. 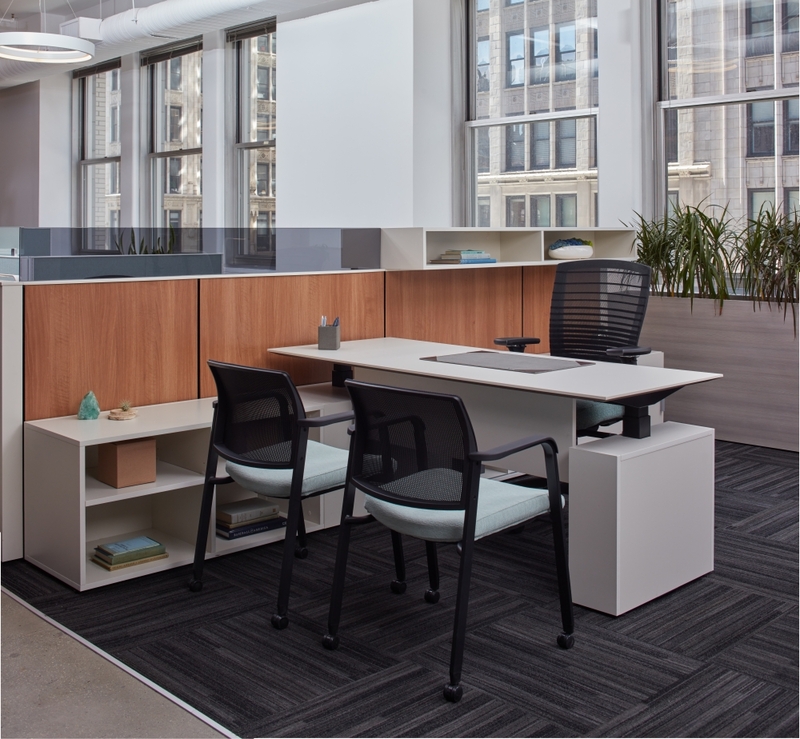 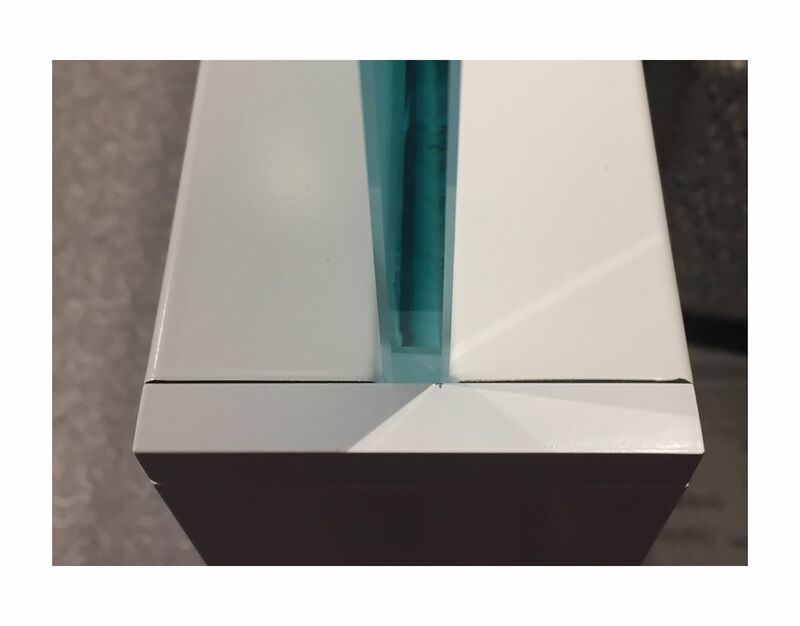 Matrix offers power every 8" of height, allowing for more capacity and placement options than any tile system in the market. 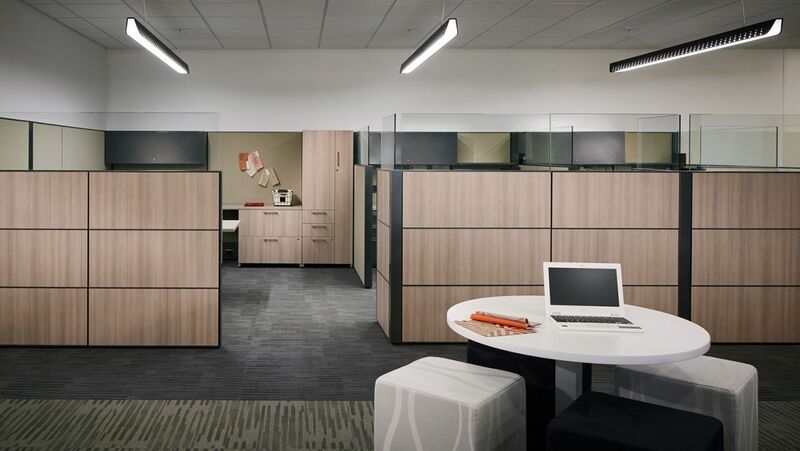 Matrix integrates well with the Calibrate Series of Casegoods and Storage to create a higher end look in the open plan or within the walls of a floor-to-ceiling Matrix office. 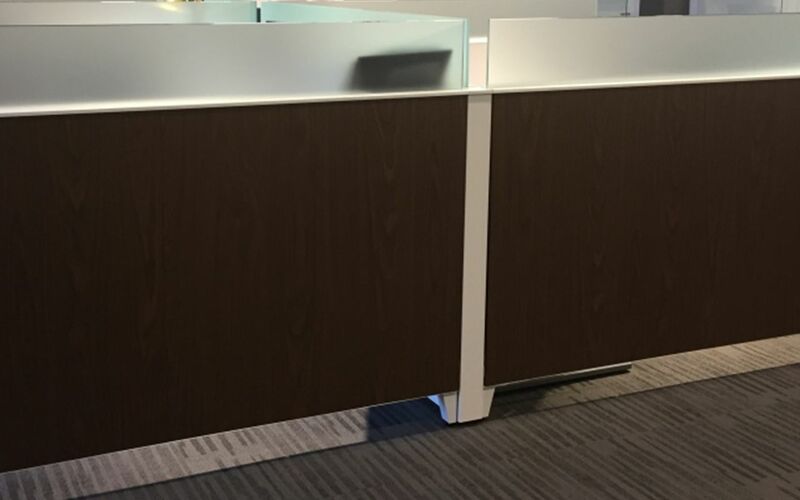 A Matrix spine can easily integrate with Day-to-Day and Calibrate Conference height adjustable tables for a more ergonomic option, with power and data easily accessible at any height.